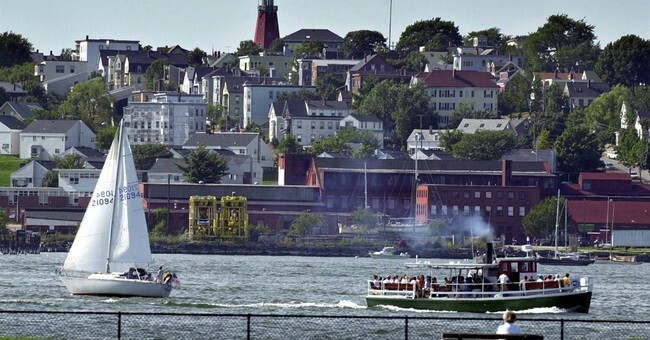 Residents of Portland, Maine have voted down a proposed minimum-wage increase that would have eventually led to a city-wide minimum wage of 15 dollars an hour. A measure to increase the minimum wage was voted down with 58 percent of voters against the measure, with 42 percent in favor. The proposed ordinance before voters Tuesday would have raised the minimum wage to $15 an hour in steps. Large businesses – those with more than 500 employees nationwide – would have seen the full increase kick in by July 2017, while the phase-in period for smaller businesses would have been slower, rising to $15 an hour by July 2019. After that, the minimum wage would have risen annually by the rate of inflation. The state's current minimum wage is $7.50 an hour, meaning that wages in Portland, the state's biggest city, would be double that of nearby communities. Businesses in Portland, such as Becky's Diner, led the fight against the proposed increase. Businesses argued that the high wage would force layoffs, staff reductions, and price increases that would make themselves less competitive. Portland's minimum wage will still increase to $10.10 an hour on January 1, which many businesses said they are willing to accept. It's an economic gamble to raise wages in one area and not in others, and Portland businesses were right to be worried. Southern Maine is densely populated (well, comparatively), and a business seeking to avoid a wage increase could easily move to another nearby city, ditching Portland entirely. This, obviously, doesn't help Portland residents or the city's economy. Wages are not distributed arbitrarily--it does not make sense to pay a person who is only capable of producing $10 of work more than $10 an hour. These people will not experience a wage bump with a minimum wage increase; they'll simply lose their jobs. It's important to remember that a person making $7 or $8 an hour is in a far better position than someone making zero dollars per hour. A minimum wage job is meant to provide a base for a worker to develop skills to eventually make more than the minimum wage. This is why roughly half of minimum wage workers are under the age of 25--they are not meant to be jobs to raise a family. If a young person or low-skilled worker is denied the ability to hone work sills under a minimum wage job as it isn't economically feasible to offer them a job at the increased wage, the economy will continue to suffer. Minimum wage increases, especially one of this magnitude, have the potential to wreck an economy--especially one that's known for having quirky small businesses. While Portland is undeniably a very left-leaning city, its also apparently one that can recognize what sounds nice on paper may not work out so well in reality.